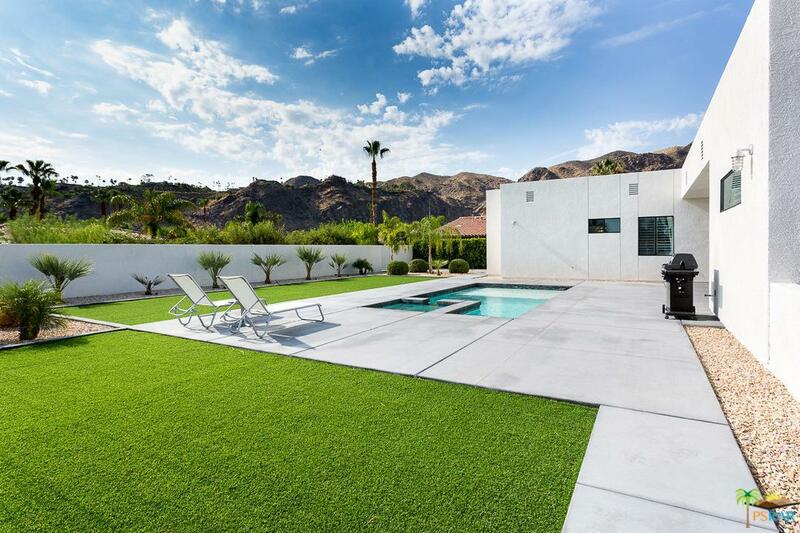 Prestigious modern home with Spectacular Mountain top VIEWS! 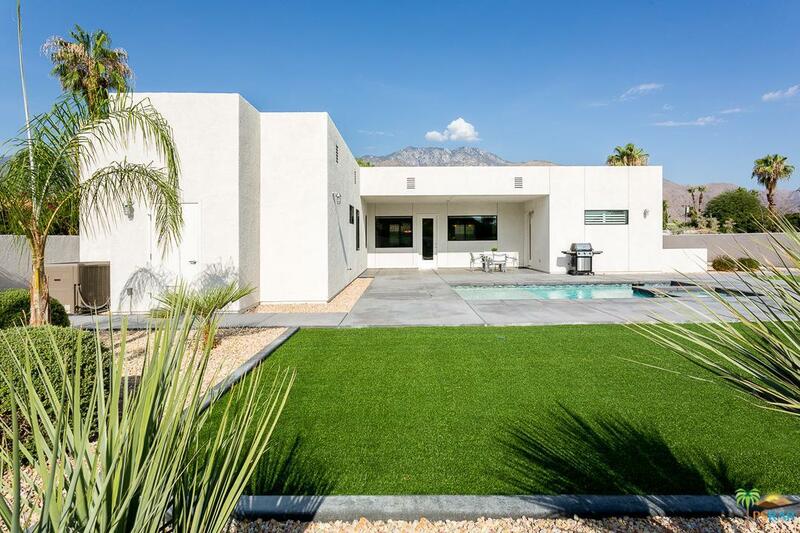 This South Palm Springs home is situated for optimum privacy located at the end of a cul-de-sac, no drive through traffic. Enter property through electronic gate, park in oversized parking area including separate rv parking space or enter your fully self-contained 1248 sq.ft. 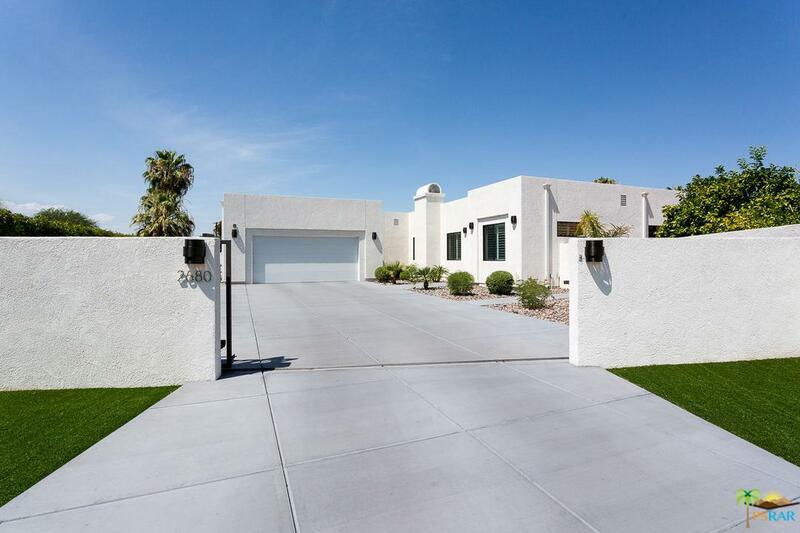 4 car garage with epoxy floors, storage cabinets, air conditioning and insulated oversized garage door. Open floor plan includes 8' doors 10' ceilings through-out. Sleek and stylish kitchen that flows through living and dining room lined with VIEW windows. Floor plan is open yet provides great separation of space including private guest CASITA just steps away from Pool and Jacuzzi. Enjoy plenty of room on this over 18,000 sqft lot including walled in area for gardening, extra storage, you decide. Features and upgrades are to numerous to mention. A home of this caliber is Rarely available on fee land. Sold by Brian Beard BRE#01499498 of Coldwell Banker Residential Br. Listing provided courtesy of Cindy High DRE#01499498 of Desert Connections Realty.